If you want your face to light up a room - literally - then this latest beauty trend is right up your street. Think God's Own Junkyard for your face. Think eyeshadow straight outta Tron. Think Tracey Emin let loose with makeup and you'd be on the right tracks. Yes, neon makeup is now a thing, and it's just as cool as you'd expect it to be. Makeup trends come and go, but we're hoping that this one sticks around, until the summer at least. We want makeup that makes our face light up brighter than Kim K's LuMee phone case, and now we have it. 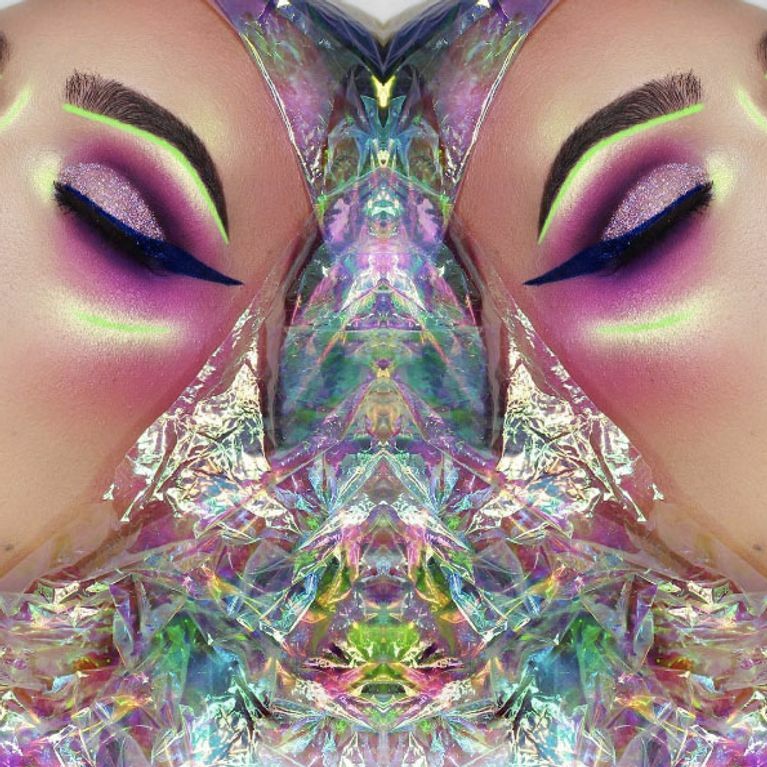 Because Insta is glowing up - literally - with neon makeup. We don't understand how it works but we are ready to throw our entire month's wages on it right now. It looks effing awesome. Whether you wanna go all out Tron on this look or just want to add a little glow to your usual routine, there's plenty of palettes that can help you to achieve this look if you fancy giving it a go, like Urban Decay's Electric Palette, £34, Kat Von D's Alchemist Palette, $32, or I-Divine's Eyeshadow Palette in Acid, £8.99.